Over the past few months I’ve turned my regular column space over to young adults on a number of occasions. They’ve used this space to offer their views on the 2018 synod of bishops focusing on youth. That synod begins this week in Rome, on Wednesday, October 3. Below is a letter I received on September 30 from India. The text is used with the author’s permission; the name is withheld at his request. I am a young adult Syro-Malabar Catholic living in India. I would like to express my thoughts on the upcoming synod. But no. 53 of the instrumentum does not actually state that the interest in listening is so that the teaching may be effectively received. The paragraph certainly does point toward that direction and comes close to saying it, but does not actually say it. Those who trust in the good intentions of the Synod Fathers would not see this as a problem, but that is precisely the issue at hand. Unfortunate as it may be, the hierarchy simply does not have the trust of a significant portion of the laity. This trust must be regained, and it certainly won’t be regained by speaking as though they have something to hide. People are already familiar with this type of evasive language with built-in loopholes, having heard it from con men in the form of politicians and businessmen. “… words and meaning have almost parted company. People who write in this manner usually have a general emotional meaning — they dislike one thing and want to express solidarity with another — but they are not interested in the detail of what they are saying. If the Church wants young people to listen to her, she should first convince us that she has a message, that she is qualified to preach it, and that she does so with conviction and compassion. The society I live in probably has higher regard for traditional values than mainstream American society, and hence the state of the Church is different in the two places. In my life, there have been two things in priests that have made me angry. One is excessive rigidity and bitterness. I am not at all saying that professing the faith is wrong; instead, I am referring to priests who have a very short temper and use curse words or similarly insulting language. The second problem is that priests are at times unavailable for Confession. Several times, I have gone to my parish and found that I couldn’t confess my sins then. I would also like to bring to your notice that the Church in India is reeling from the pain of scandal. A nun accused a bishop of abuse. A group of nuns made a public demonstration of protest asking for the bishop to be arrested. The bishop was then arrested by the police. The case is ongoing, he hasn’t been convicted yet, and he denies any wrongdoing. The media are filled with news about this story, and this has become a topic of conversation in many households. Unfortunately, many misconceptions about the Church and the hierarchy are also spread along with facts and opinions in these conversations. In First Things (First Things web, 9.21), you recently said: Over the past several months, I’ve received scores of emails and letters from laypeople, clergy, theologians, and other scholars, young and old, with their thoughts regarding the October synod of bishops in Rome focused on young people. Nearly all note the importance of the subject matter. Nearly all praise the synod’s intent. And nearly all raise concerns of one sort or another about the synod’s timing and possible content. I, too, note the importance of the subject matter, praise the synod’s intent, but have concerns about the synod’s timing and possible content. I can attest that Pope Emeritus Benedict’s writings and speeches have touched me because of their incisiveness and profundity. Though I still don’t know the full depth of the Catholic faith, I know at least that there is such a depth. The theologian’s critique that you offered in First Things does a good job in assessing the content of the instrumentum laboris, but it neglects the document’s tone of language. At least in some places, the instrumentum contains trite, bland, superficial “fluff” rather than substantial content. But Christ never spoke this fluff. St Paul never spoke this fluff. Again: If the Church wants young people to listen to her, she should first convince us that she has a message, that she is qualified to preach it, and that she does so with conviction and compassion. First I commend our Archbishop for allowing our young adults a forum to express themselves. I think we have a lot to learn from this young man. Our young adults are our future church. We want a Holy and pure church and he, the Lord is challenging all of us to look inside our own hearts not point our finger at someone else. He, I believe, is calling us to maturity and when we get cleaned up He will bring others into the fold. Foremost is to keep all in our church in prayer and don’t forget the intercession of our Blessed Lady and the angels and the saints. I was so pleased to see the prayer of St. Michael being returned to our mass. We definitely will benefit from this powerful prayer. All should read the origin and I feel you will never pray it the same again. What a wise and loving God we serve. Thank you. I think Jesus said that when you say yes mean yes and when you mean yes say yes. The same for say no etc. I have said for a long time that the Bishops would do well to follow that advice when writing “pastoral’ statements etc. 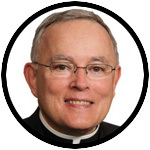 Archbishop Chaput is my candidate for Pope but since I don’t vote I will just say that he is one who says yes and means yes etc. My hat is off to him because he has found young persons who are hungry for Truth. St. Francis wrote a prayer and in that prayer he mentioned “perfect Trinity and simple unity.” Incisiveness by its very nature has to be simple. Knife blades with two sharpened sides are dangerous. Be safe during your trip to Rome, Your Excellency. Perhaps the employment of a taste tester would be prudent.